Diwali is here and I would take this opportunity to extend my best wishes to you and your family on this joyous occasion. The months leading up to Diwali have been very eventful for us. There were several challenges at the domestic and international front that we were confronted with. But thanks to our sound fundamentals and strong foundations we were able to combat every single one of them to emerge stronger than ever. But amidst these challenges the world cooperative monitor in its 2018 rankings placed IFFCO at the pole position in the Agriculture and Food Industries sector. And in the overall rankings based on the ratio of turnover over gross domestic product (GDP) per capita we were also on the top making IFFCO the biggest cooperative in the world today. An encouraging piece of news that helped bolstered our confidence. I attribute this achievement to the supportive and erudite workforce of IFFCO who has stood together at every step of the way. This feeling of cohesiveness helped us tide over challenges and made this feat possible. It is due to their efforts that IFFCO could take bold decisions, which were not only first-in-industry but were sometimes even thought to be unachievable. The Indian Cooperative Digital Platform was one such ambitious decision that was conceived to help bridge the technology divide between the farmers and fertiliser industry. With the benefit to the farmer in mind, we took a leap of faith with this effort and it paid off well. The platform was well received by the farmers and nearly 2.5 crore farmers are registered on the platform today. The platform in its newest avatar is available as a highly functional app called the IFFCO iMandi. This app is the only app that a farmer would want on his phone as it provides services ranging from e-commerce, multi-media messaging and even entertainment. This is just the beginning for us and we aim to take this app across the country to the smallest and remotest villages so that each Indian farmer can benefit from it. Over the years, it’s innovations like these that enabled IFFCO to stay ahead of the curve. We were early adopters and were daring enough to take calculated risk because we saw that’ in the long term it would benefit the farmer. Another set of innovation that I would like to mention here are our unique plant growth promoters like ‘Sagarika’, the exhaustive range of water-soluble fertilisers and our all-natural bio-fertilizers which were introduced in the market recently and are being well received by the farmers. We would soon add nano-fertilisers, plant growth promoters and several plant protectors to our basket of products that would give farmers wider options to choose from the IFFCO brand. For this we have even established an R&D centre -The IFFCO- Tarafdar Nano Lab at the Kalol plant in Gujarat. This lab is working on biosynthesis of nano-nutrients. Once developed these intelligent nano-fertilisers would be efficient and would help the farmer extract the maximum from the soil while having a minimum environment footprint-ushering in a generation of ‘smart’ fertilisers in India. I should also appreciate the work done by our marketing team in making these new and innovative products popular amongst Indian farmers. Apart from this the marketing team has done a wonderful job in making digital transactions popular amongst the farmers and they were able to sell 63 Lakh MTof fertilisers through nearly 4 Lakh digital transactions in FY 2018-19 till September, 2018. This is a praiseworthy feat and I am confident that the marketing team will continue this endeavor in the future as well. I am also happy to share with you that all our joint ventures are doing well and performing to our expectations. Our Joint venture in Jordan (JIFCO) is performing exceptionally well and has registered a profit for the first time as of September 2018. All our plants are also performing well. But while we grow we should never forget that being a farmer’s institution it’s not only a duty but also our focus to share the fruits of our success with the society at large. Inclusive development is part of our organizational DNA. It forms the foundation of a cooperative like ours. That is the primary reason why IFFCO has outlived and outperformed its peers. To continue on this growth trajectory in the future we would need to evolve and change faster than ever before. 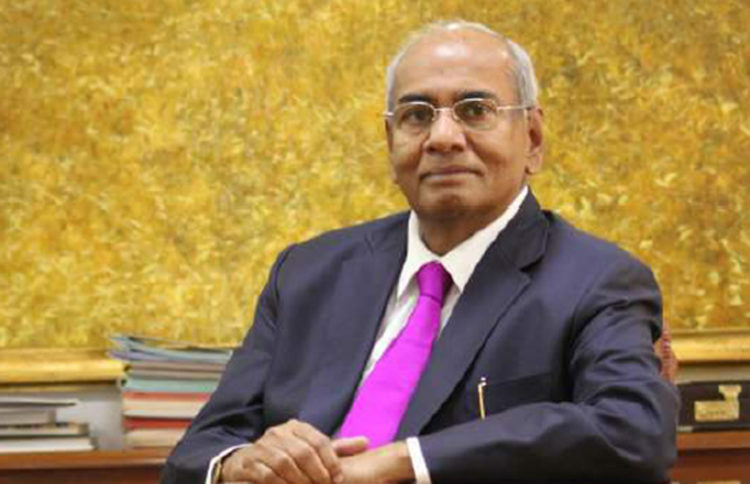 The next 50 years of IFFCO or ‘IFFCO 2.0′ would be a different entity than our previous avatar. Given the rapidly changing technology and economic landscape the new avatar will test our resolve and our commitment and the only way to stay in-sync would be to be one step ahead of the change. But the change has to start from each one of you and there is no better time to start change than the occasion of Diwali. The festival that represents the triumph of knowledge over ignorance, good over evil, piousness over immorality and virtue over vice. It is thereby the perfect time to enlighten the soul by embracing the light within.